With iOS 8, it appears that app installation requests from the MDM now appear on the lock screen. This is a big nicer than having to unlock your phone to see the installation confirmation dialog. 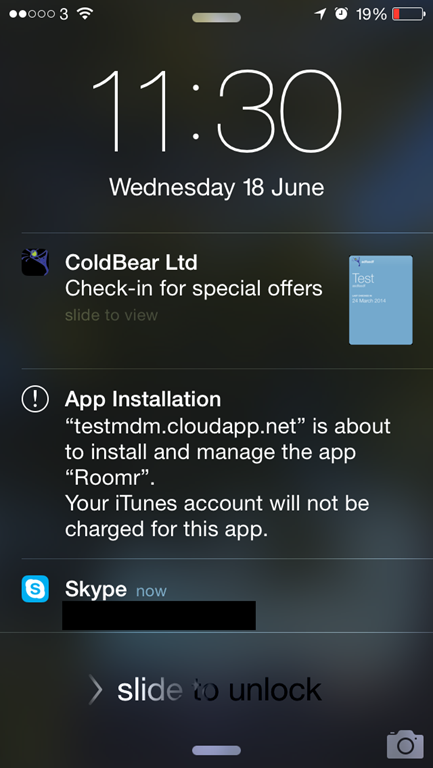 I discovered this when confirming that TestMDM worked okay with iOS 8.